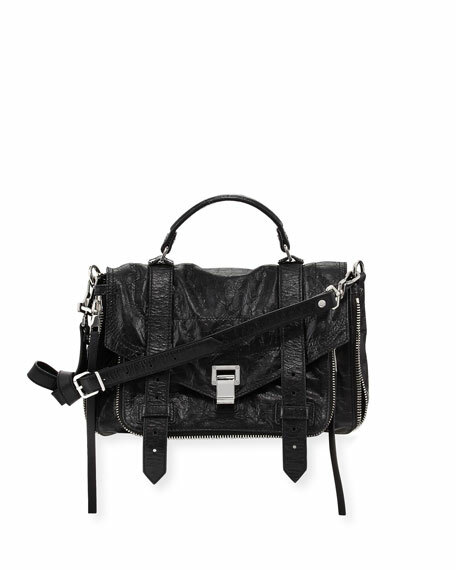 Proenza Schouler satchel bag in crocodile-embossed leather. Top handle with rings, 2.5" drop. 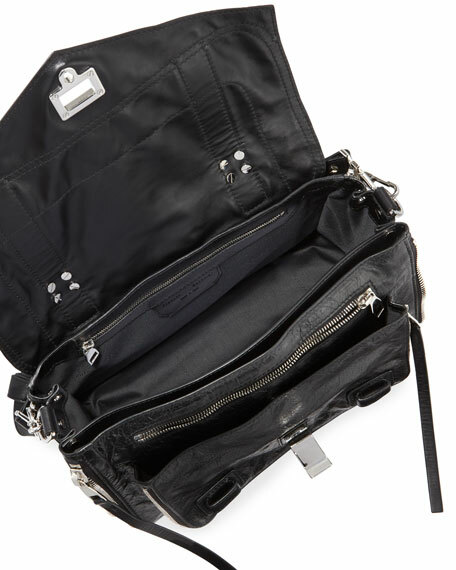 Exterior, zip and slip pockets under flap. Approx. 8.5"H x 12"W x 5.5"D; 2 lb. 3.3 oz. "PS1" is made in Italy. 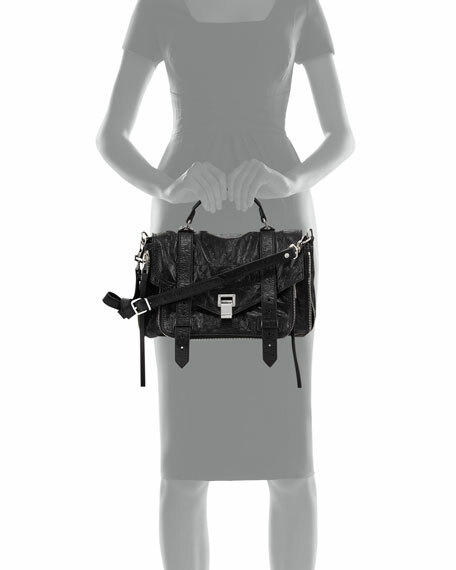 For in-store inquiries, use sku #2265358.